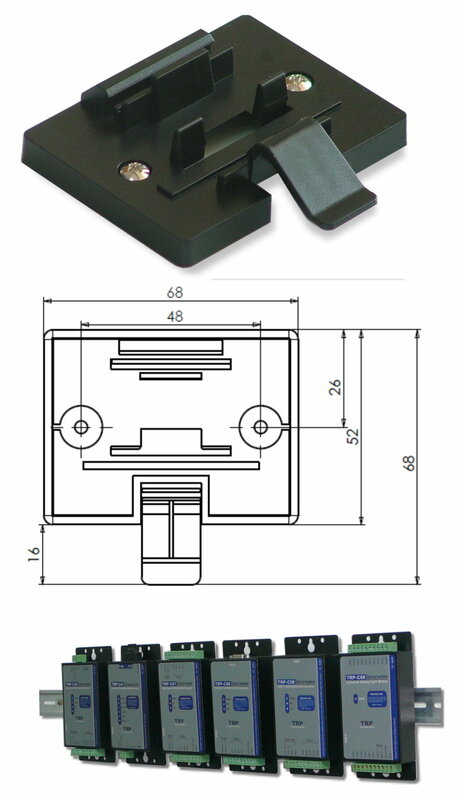 The TRP-C39S fiber converter allows RS-232/422/485 signals to be bi-directionally converted to fiber optic and extended the line signal distance up to 40KM over single mode. By using fiber optic transmission technology TRP-C39S secures a stable and error free data transmission over the industrial environments. The high bandwidth fiber connections solve problems with electrical noise and different ground potentials over long transmission. 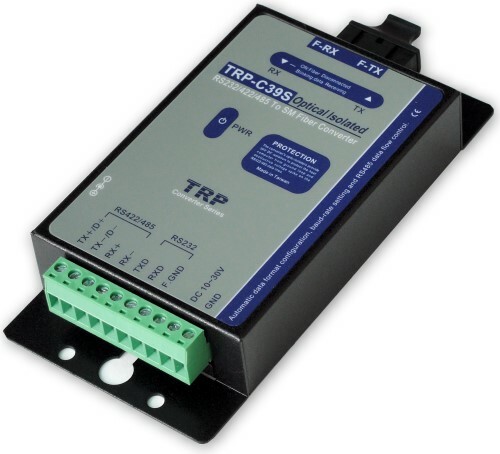 TRP-C39S support auto configuration in data format, baud rate and RS-485 data direction flow control, it also provides with 3000V DC isolation and internal surge protection. The industry DIN rail and panel mounting design enable user a fast and professional installation. SC single mode fiber port. Support surge protection on RS-422/485 data lines. Fiber transmission distance up to 40KM . RS-422: Differential 4 full-duplex wires(TX+,TX-,RX+,RX-). RS-485: Differential 2 half-duplex wires(Data+,Data-). Distance: Fiber up to 40KM and RS-422/485 up to 4000ft (1200M ). RS-422/485 line protection: Against surge, short circuit, voltage peak. Connection type: Screw terminal for maximum AWG #12~30 wires.